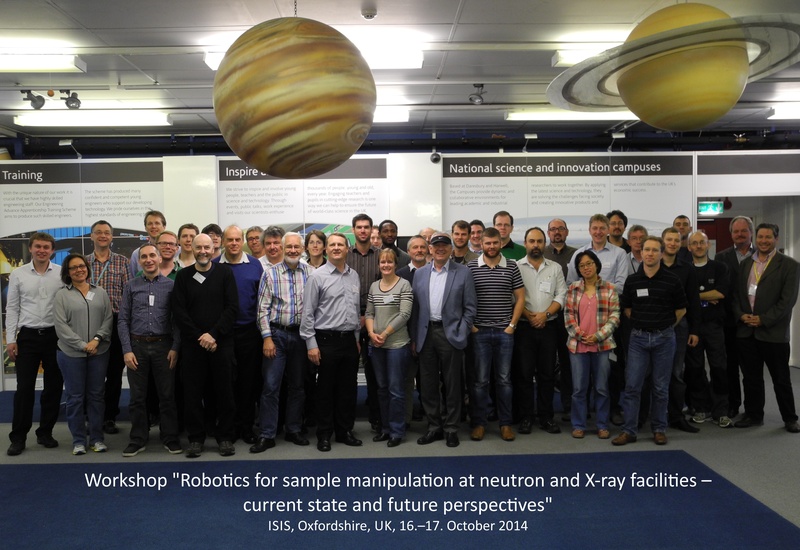 Workshop on “Robotics for Sample Manipulation at Neutron and X-ray facilities — current state and future perspectives” organized by Helmholtz‐Zentrum Geesthacht, Germany, in cooperation with the European Spallation Source (ESS), Sweden, and with support from and venue at ISIS, RAL, STFC, UK. This robotics workshop was organized within the framework of the German “ESS Update Project” (work package K4 — “ESS specific sample environments”). The purpose of the workshop was to support ESS decisions on sample environment and robotics by identifying the current state and worthwhile investments in future developments. The topics of the workshop were the current state in robotics for sample environment, examples of robots for sample handling and positioning, and future trends and developments.